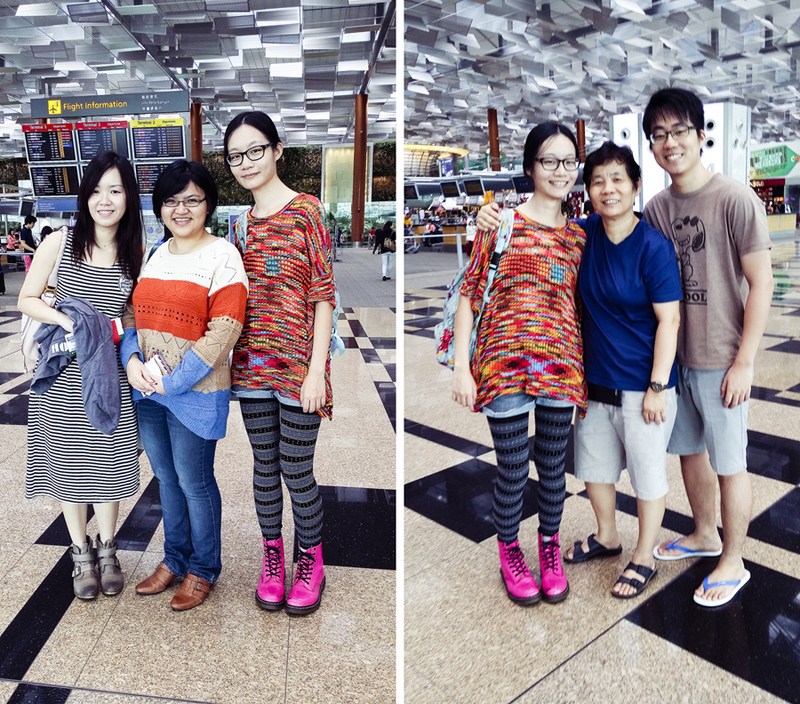 Obligatory photo-taking with friends (left: Ade, Puey, and I) and family (right: me, Mum, Ti) at Changi Airport. I also just realised that Ti and I get our smile from Mum. 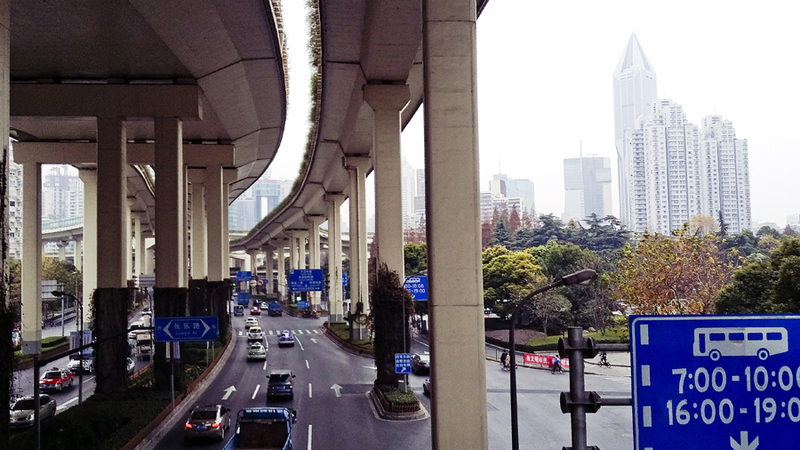 We took an evening flight and landed at Shanghai’s Pudong Airport in about five hours, after which we got a cab for the 45-minute journey to Fraser Residence Shanghai. Fraser Residence was actually a compromise that Puey forged between Ade (who wanted the comfort of $300/night hotels), and me (who believed in $20/night hostels). We ended up paying a total of $630 for five nights at a Studio Deluxe; a very good deal seeing as it’s a spacious studio apartment with a living room and a small adjoining kitchen, washing machine (detergent included and refillable by housekeeping), comfortable bathroom, and a bedroom hosting a king-sized bed that easily fit the three of us. I’d gladly stay there again. Highly recommended! 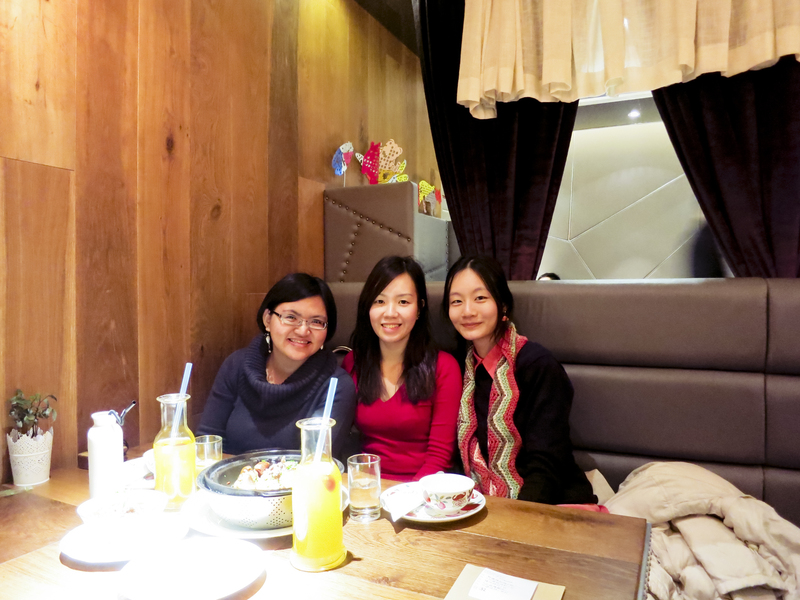 Anyway, we met up with Puey’s friend, Shi, on our first night. Shi had relocated to Shanghai for work a year ago, and he took the time out that night to show us the nightlife in the area. He brought us to M2 nightclub, which was an experience in itself, what with the club configuration giving emphasis to reserved tables for the multitudes of rich locals lounging disinterestedly on couches. We also got to witness Shi’s dance moves, something I’ll remember for a long time. Last of all, when I accompanied Ade outside the club for some air, a Caucasian suddenly came up to us to introduce himself and his shy local friend (“Rate my brother from 1 to 10! Do you believe that we are brothers?” he asked, pointing to the very Chinese-looking guy who spoke in a very different accent from him). 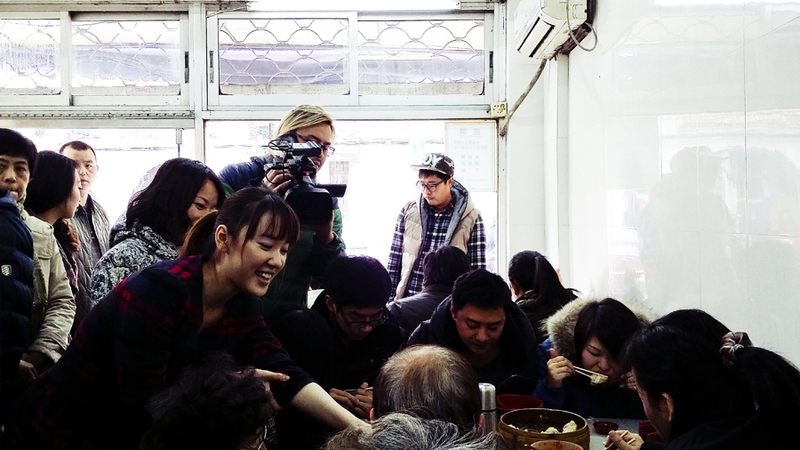 We ended up striking a friendly conversation with the local, who recommended Wan Shou Zhai for some authentic food, among others. He was a good guy, and I felt a little sorry for him being pulled into his friend’s n00b pick-up schemes. 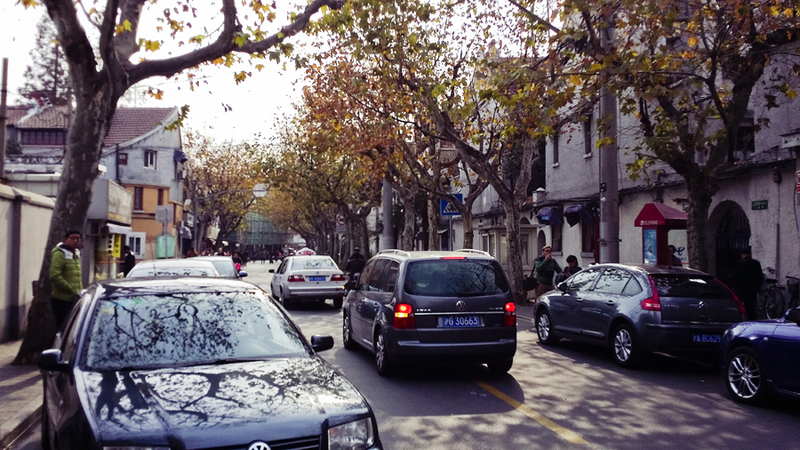 We took a cab down to Wan Shou Zhai the next morning, courtesy of Fraser Residence’s super helpful front desk. It’s a hole-in-the-wall, and a very popular one at that. A video crew even started filming inside the place when we were there! 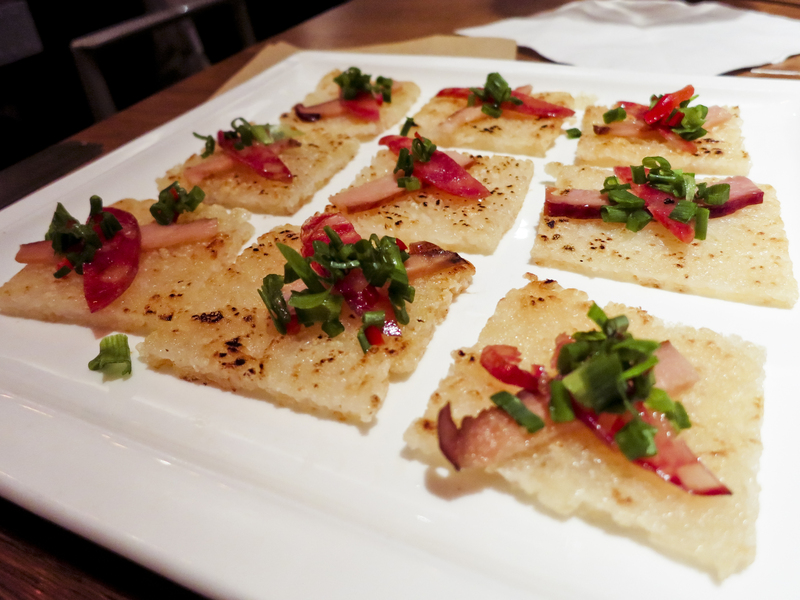 It was pretty crazy how we were eating such delicious food while sitting elbow-to-elbow with strangers. Wan Shou Zhai lies on Shan Yin Road (山阴路) in the Hong Kou district (虹口区). 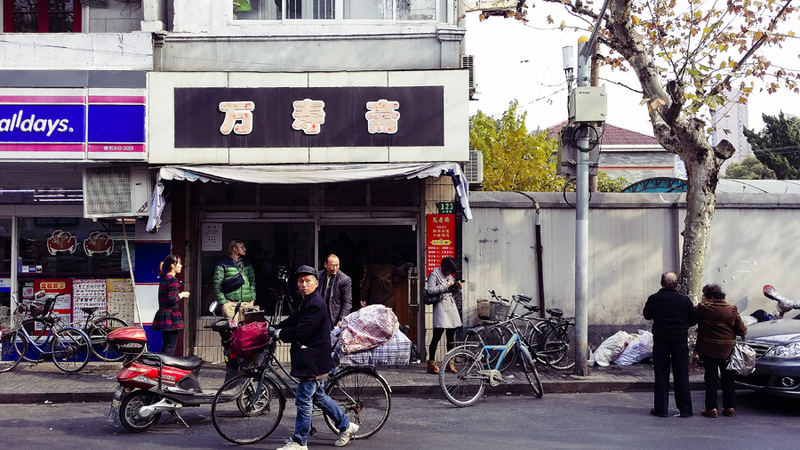 It’s a small street, as if it couldn’t be any more unassuming. The front of the eatery. 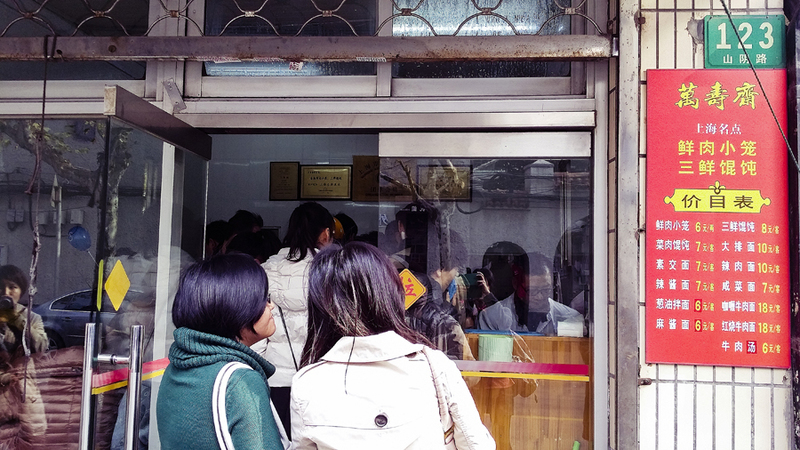 We paid for our order at the counter immediately after entering the space, where the man sitting behind a counter on the right side of this photo is. 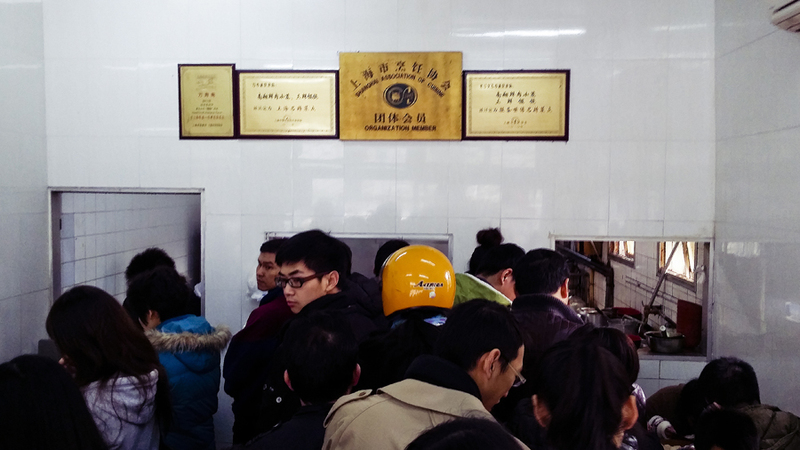 After that, we joined the queue in the middle of the eatery, eyeing crowded tables on both sides to see if we could snag three precious seats. The turnover was pretty high, seeing as people really just sat down, ate, and then left, so we found seats in no time at all. It was really squeezy, but I appreciated the hustle and bustle of this experience. 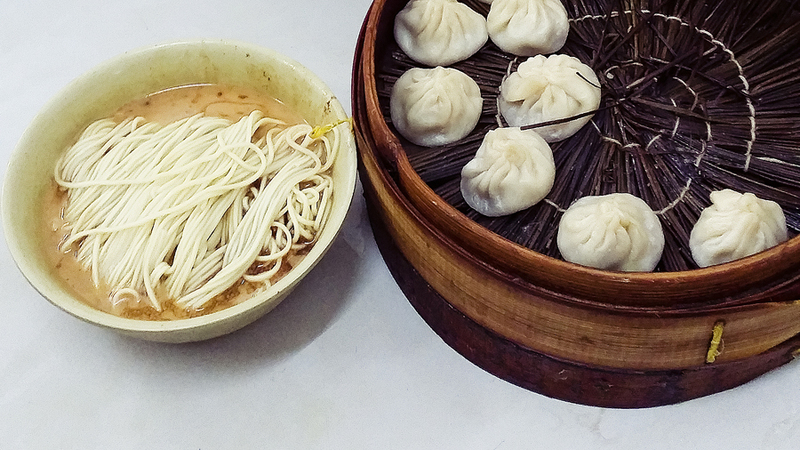 A bowl of peanut sesame noodles (麻酱面) and a basket of xiao long bao (小笼包). 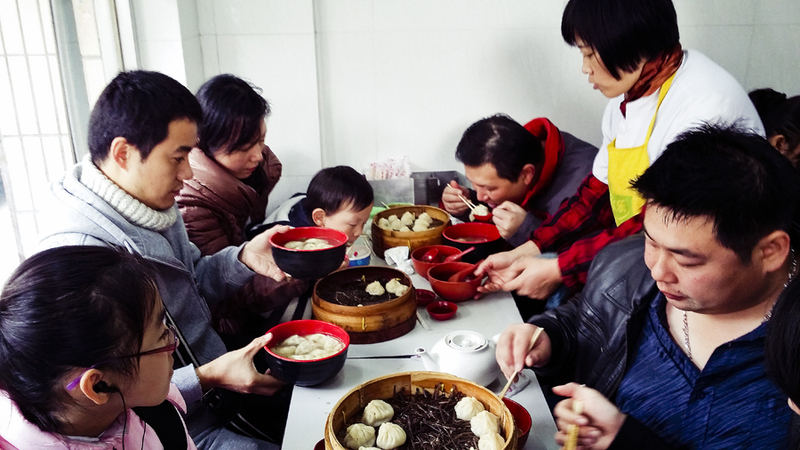 We also ordered a bowl of beef soup (牛肉汤) and then another basket of xiao long bao, because it was so yummy. 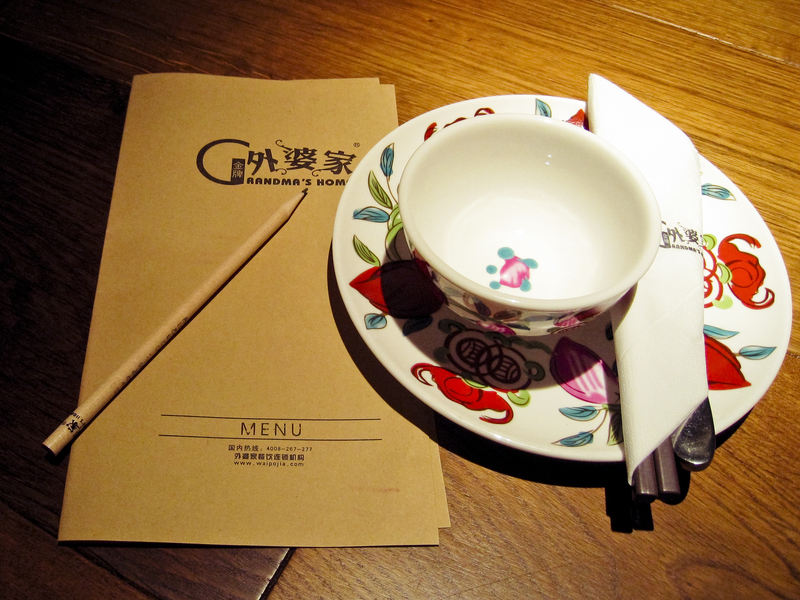 By the way, our meal set us back a total of 21 yuan (SGD $4). SO CHEAP. A satisfying meal slowly breaking down in our warm bellies, we proceeded to cab down to the famous shopping street in Shanghai, Nanjing Road. 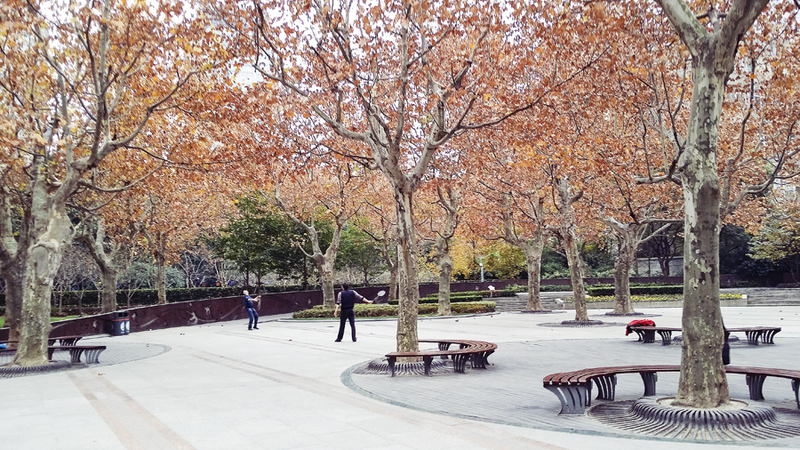 We dropped off at the eastern section (南京东路) and started walking from there, but I think we got distracted and diverged from our path towards the western section (南京西路) for a little bit. 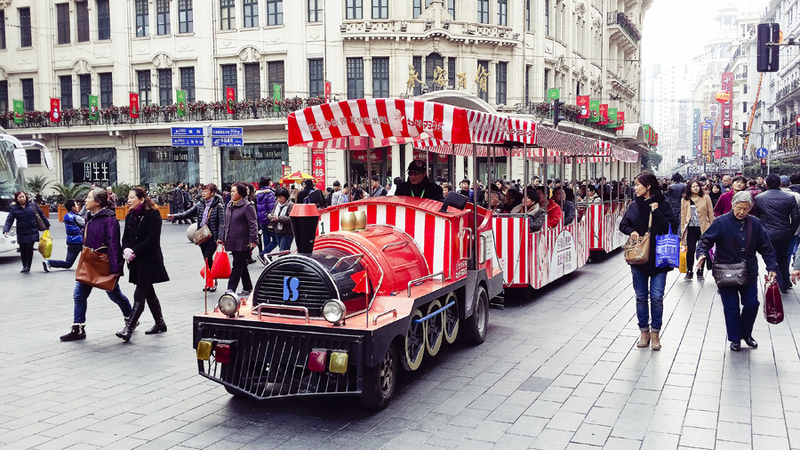 Trams in various cute decorations are abound, shuttling people up and down the world’s longest shopping district. 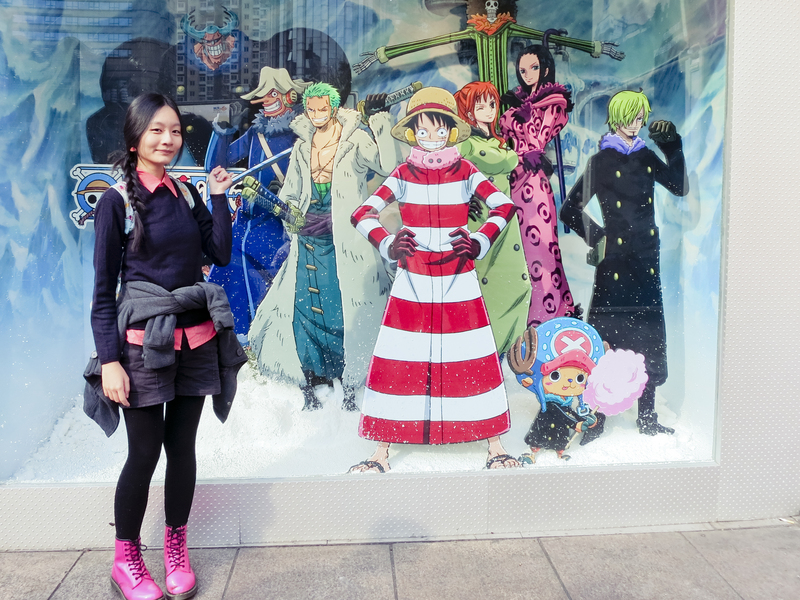 Taking a picture with the new One Piece crew on Baleno’s window display! 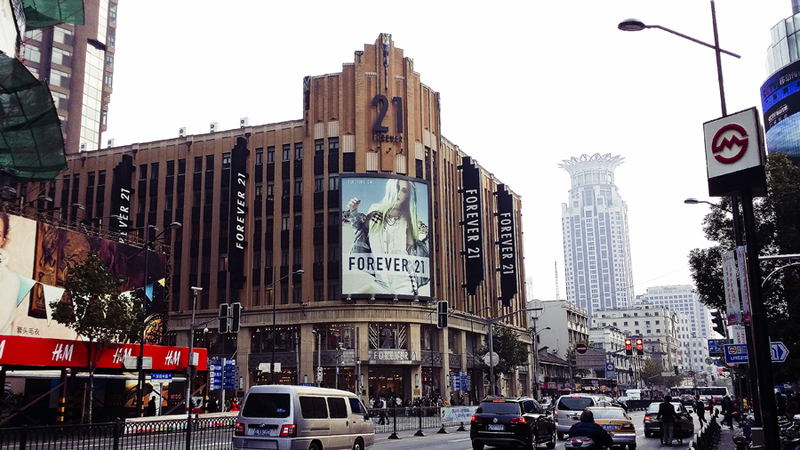 Shopping in China is so ostentatious… Forever 21 was just one of the many brands that had their own building. 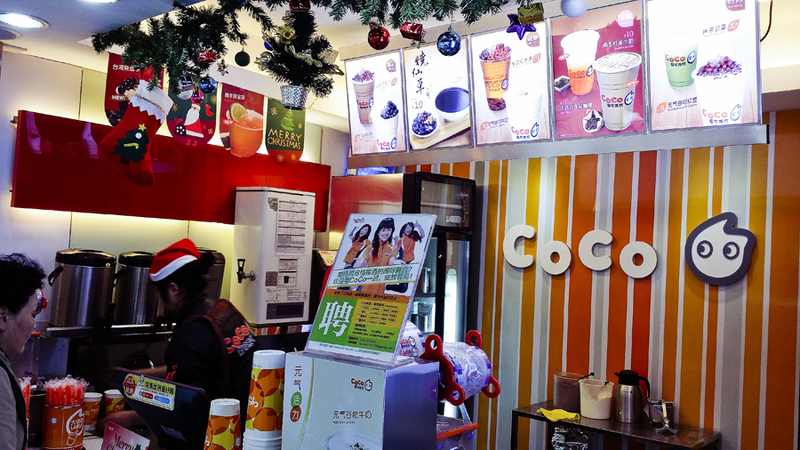 Stopping by at the CoCo Fresh Tea & Juice (都可茶饮) was no coincidence; I spotted this branch on our way to Nanjing Road and positively frothed in excitement at the prospect of another chance to taste the sweet, sweet nectar they call bubble tea (after being introduced to CoCo in Los Angeles). 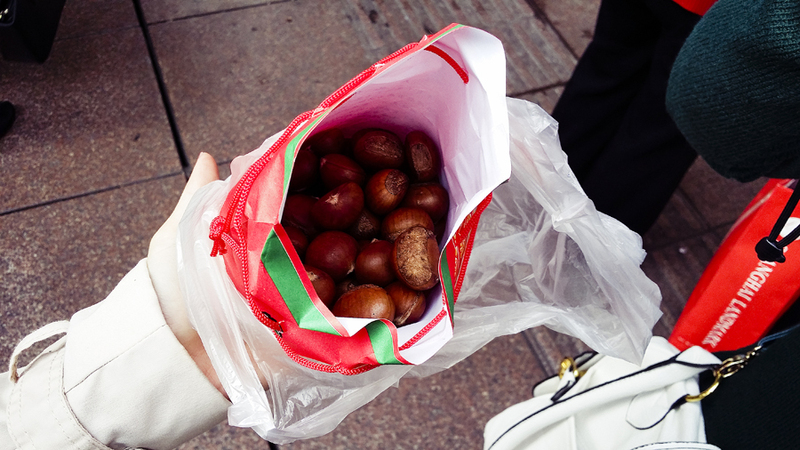 So when we went off the main street of Nanjing Road, it was only natural that I had to make a stop there. Thanks to Ade and Puey for their innate ability to navigate! I literally couldn’t have made there without them. 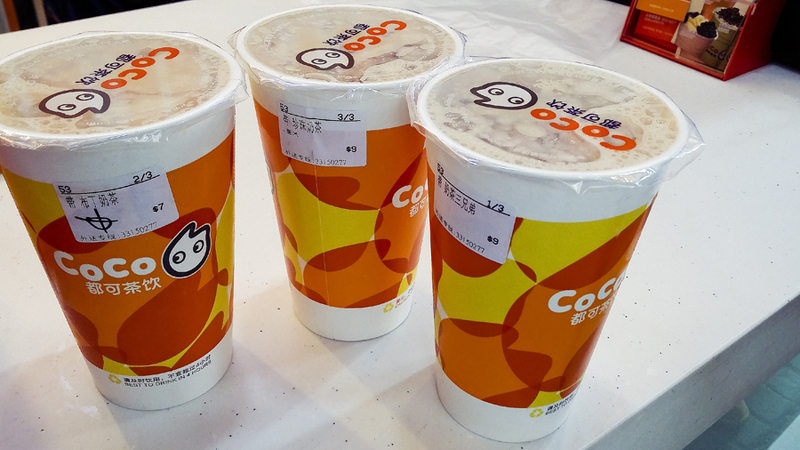 From left to right: Milk Tea with Pudding (my usual takeaway), Milk Tea with Pearls, and Three Brothers (Milk Tea with Pearls, Pudding, and Grass Jelly). I set up Ade’s camera on a makeshift stand of bags because we couldn’t not take a picture of ourselves standing in front of such pretty trees. 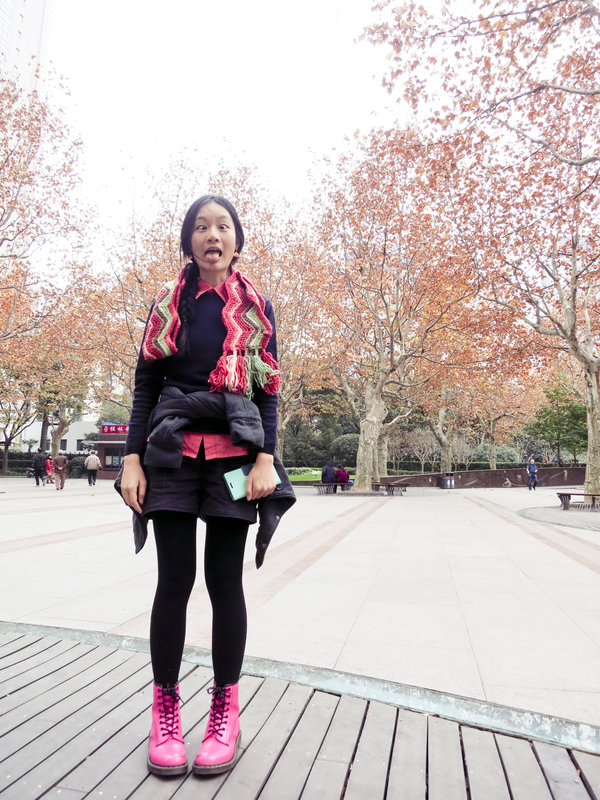 Halfway through our exploratory walk, we somehow acquired a fourth addition to our trio- or rather Ade did- a local guy had approached Ade while Puey and I went to the bathroom in a shopping mall, and so enamoured with Ade was he that he was glued to her side as he led us a good half hour walk towards West Nanjing Road, to a shopping mall with all the brand names I had never heard of but which was the stuff of Ade’s dreams. I’m normally open to impromptu friendship-forging on trips, but this guy had eyes only for Ade, only acknowledging Puey’s and my existence when Ade forced an introduction. It was so incredibly rude. If there’s something I’ve taken away from my 90’s childhood spent listening to the Spice Girls on cassette tapes, it’s this: if a guy wants to pursue a relationship with a girl, he has got to get along with her friends. I personally feel like this applies to any relationship, not just to romantic ones, but it fits the bill here. Dude was just way too inconsiderate. Downvote. 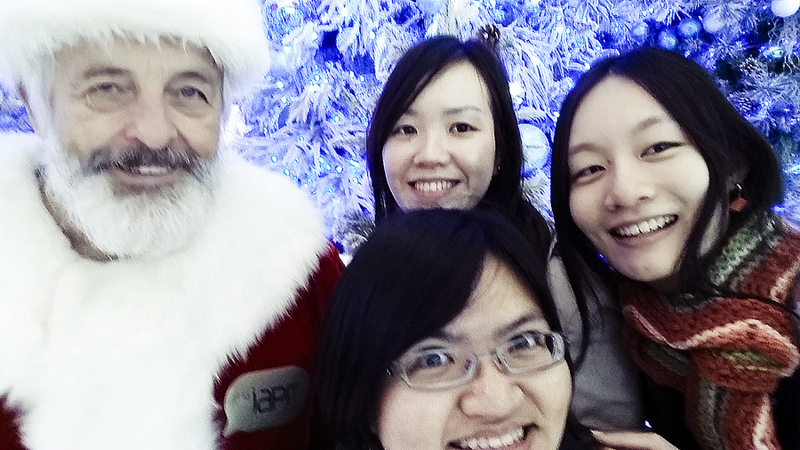 On to nicer things, we took a picture with a middle-aged Santa Claus at the expensive shopping mall! 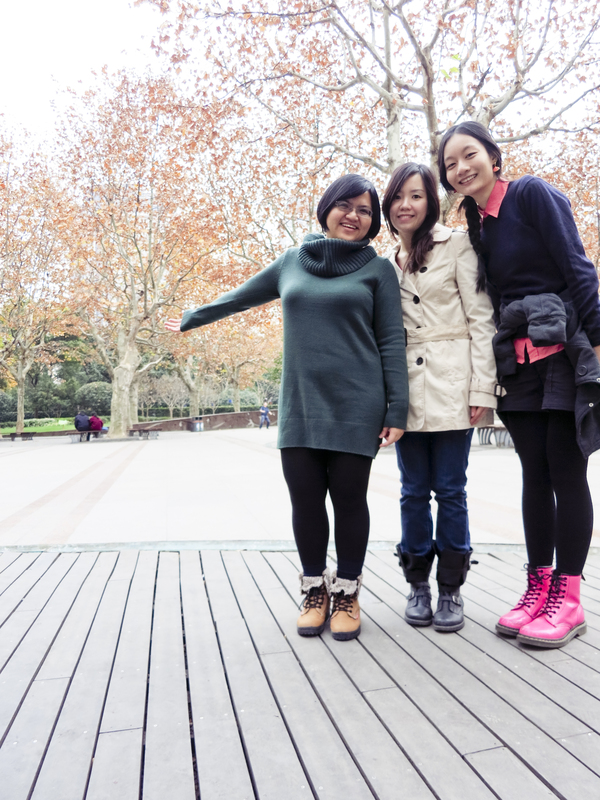 We did travel to Shanghai last December after all. 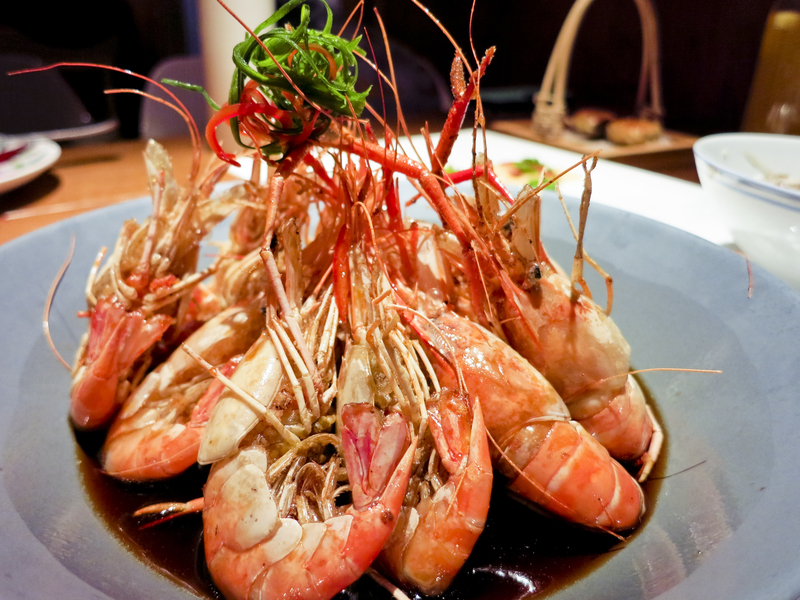 I think Ade lent me her camera to take photos of the food. 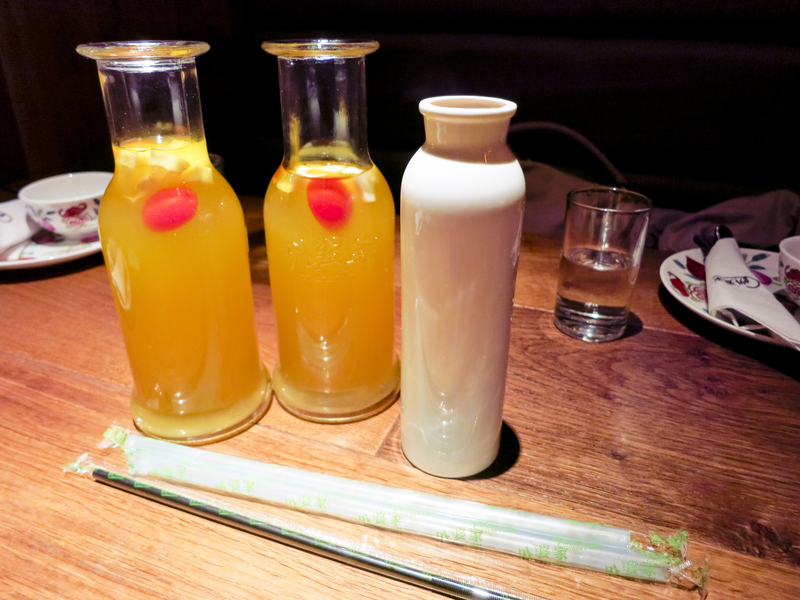 Here are cute bottles that we drank from. Ade and Puey had ordered something cool and fruity, while I went with hot milk tea. As someone who usually drinks tea black (with little to no sugar), this was a bit too sweet and milky for me. Still, it was pretty cool to drink like this. 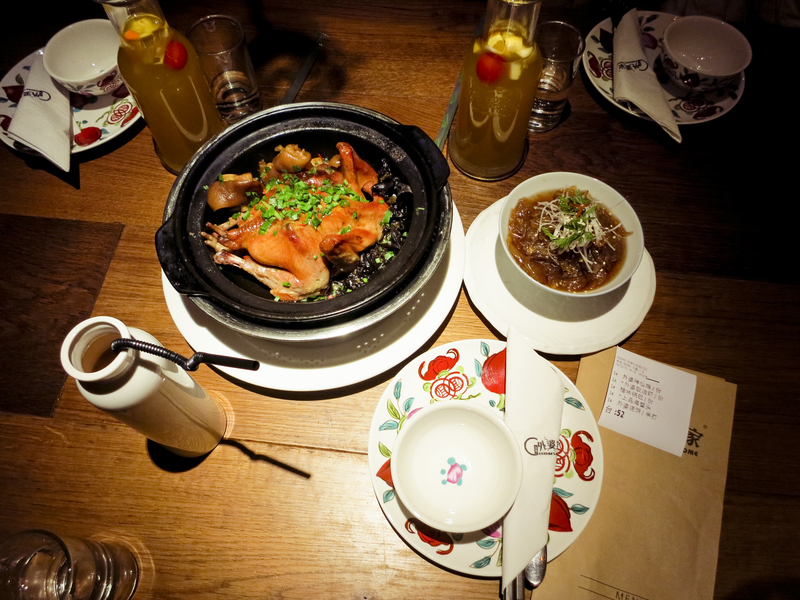 Roasted chicken in a claypot and a bowl of jellyfish. More posts to come! I also made a video compilation a while back of Shanghai here in this post.